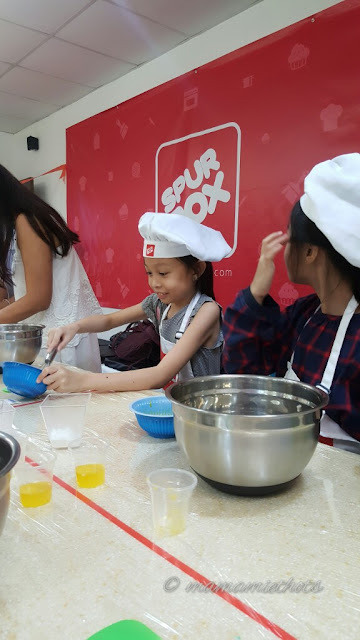 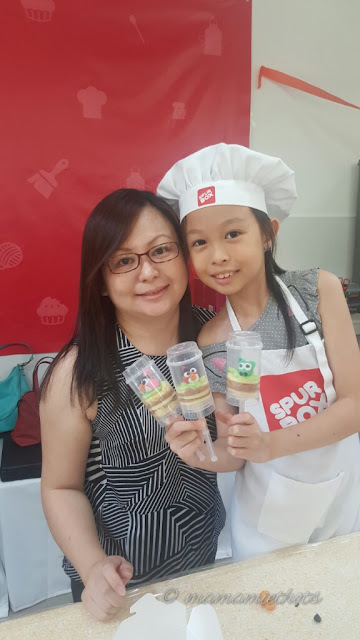 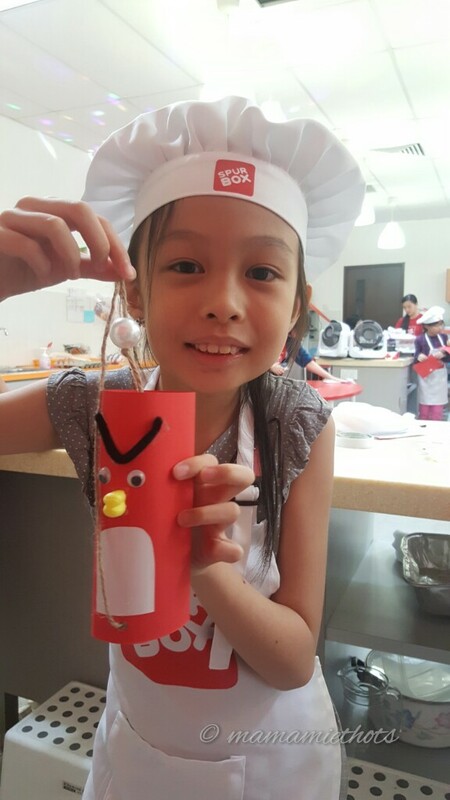 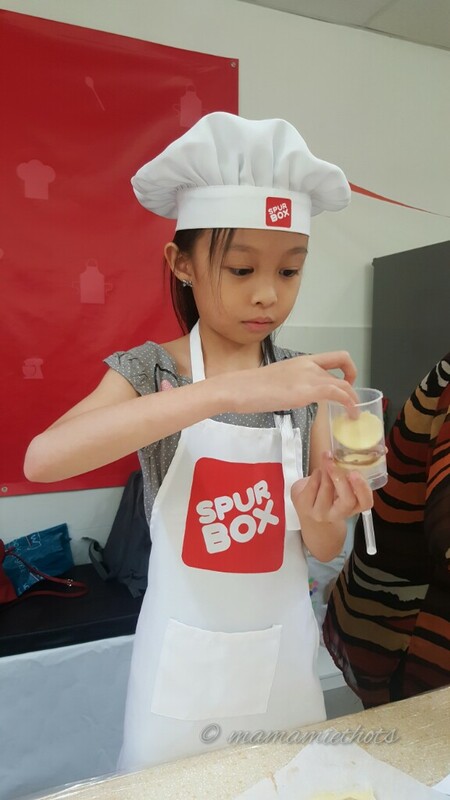 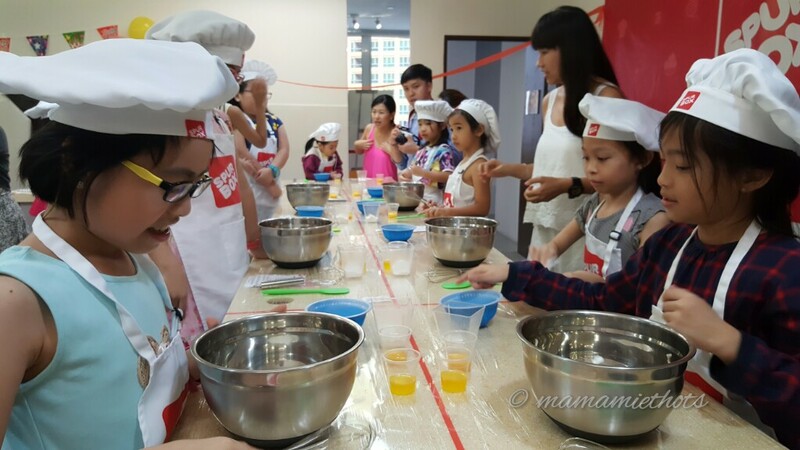 When YQ received a birthday invitation from her classmate to attend a baking workshop at Spurbox, she was so EXCITED! 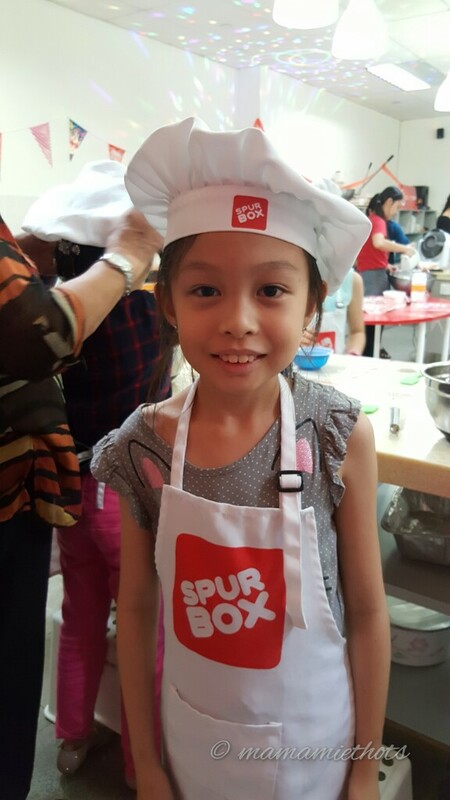 So last weekend, I brought her to the birthday venue and I stayed around to "kay poh" around *chuckles*. 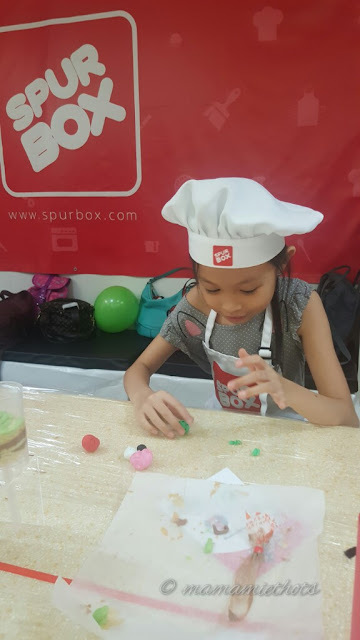 Put on her apron and chef hat. Everything was set up nicely for the children and after a short demo by the baker, they were instructed to go back to their working station to start mixing their ingredients together. 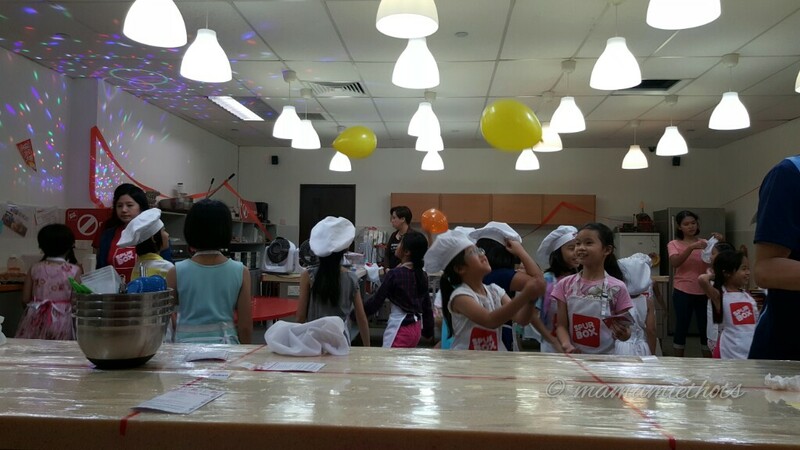 While waiting for their cakes to be ready, they were getting ready for the story telling session. 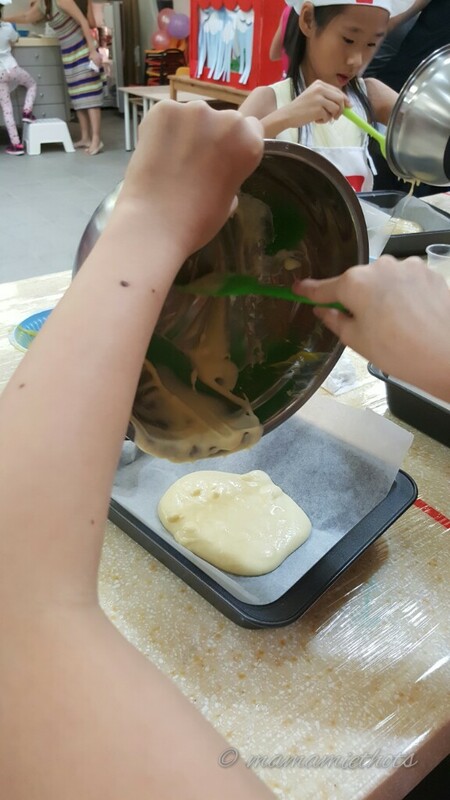 Once the cake was baked and cooled. 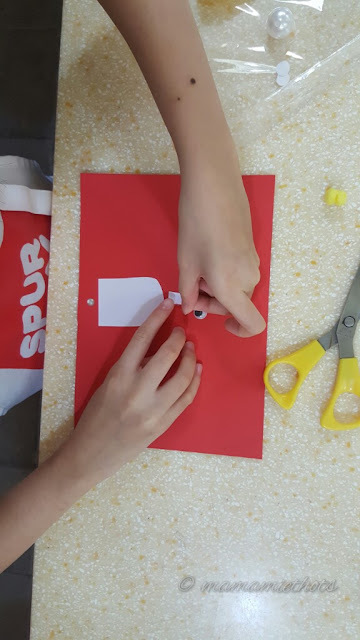 They cut out the shape by using the push pop cake. 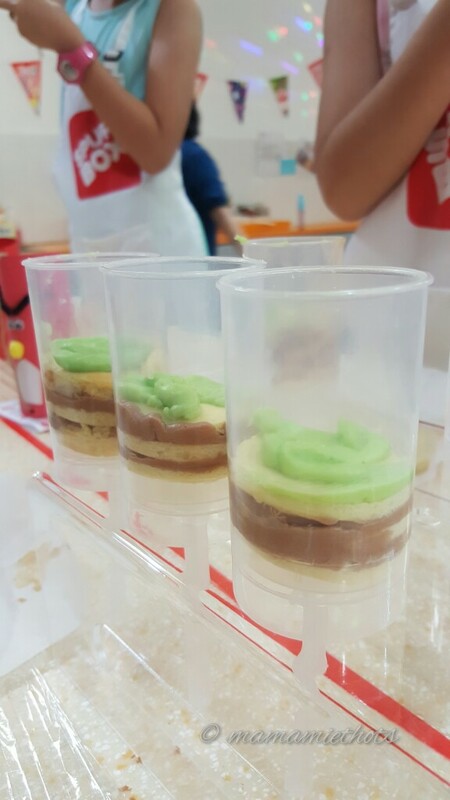 Layer by layer, they put 1 layer sponge cake and 1 layer of cream. 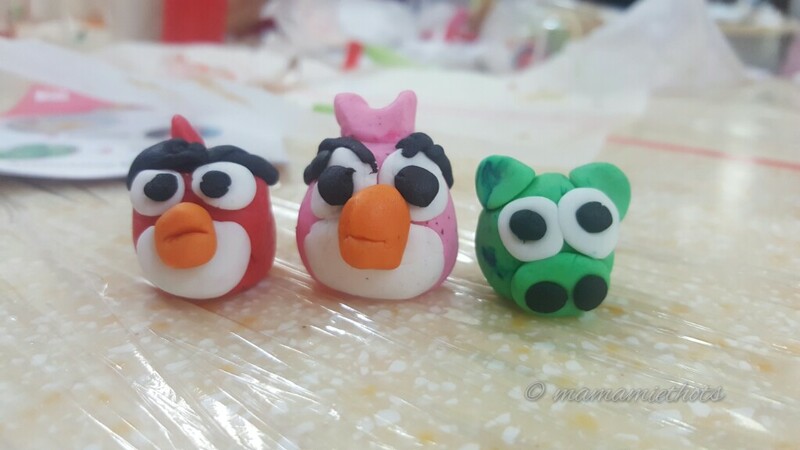 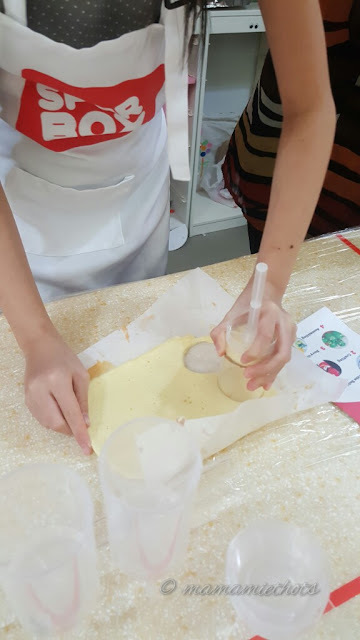 Once they had put 3 layers of sponge cake, they were taught how to make the figurines to decorate their cakes.